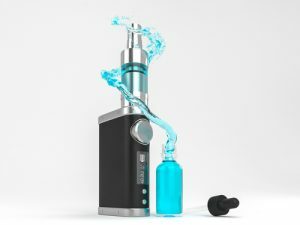 E-juice is one of the primary parts used in vaping products. It’s also known as an e-liquid. The e-juice is a liquid that holds the flavors, and if any, the nicotine. When heated it creates the vapor that the smoker inhales. The vapor cloud is also made from the heated e-juice. With are wide variety of flavors there are plenty of products to choose from. The best e-juices to use for vaping are lab created e-juices. In e-juices there are two base ingredients. These include propylene glycol (PG) and vegetable glycerin (VG). Mixing the two substances forms a rich, silky product. After combining the PG and VG, the flavorings and nicotine are added to make the final e-juice product. A typical e-juice has a higher level of propylene glycol than vegetable glycerin. There are some e-juices created to have a higher amount of vegetable glycerin. These higher VG e-juices are good at forming larger vapor clouds. This is a bonus for the vape smoker trying for the sub ohm factor. For smokers who have a sensitivity or are allergic to propylene glycol, an e-juice with a higher VG is a good alternative choice. One of the base ingredients, Propylene glycol, is a colorless substance that is type of mineral oil. It can be used safely in foods and household products, and has been for over fifty years. It’s found in products such as flavorings, food colorings, soaps, cosmetics, and medicines. The other base ingredient is Vegetable glycerin. This is a non-chemical that is a plant based liquid. According to Global Healing Center Vegetable glycerin is a clear, odor-free product made from plant based oils such as soy, palm, and coconut. Its physical property is much like an oil or syrup. Like propylene glycol, vegetable glycerin is used safely in foods and household products. VG used in consumable and personal products is required to be USP grade standard. This is a vegetable glycerin that is a 99% pure substance. Products that include VG are shampoos, lotions, and toothpastes. Lab created e-juices use only premium quality ingredients, including FDA approved and USP food grade natural and artificial flavorings. The nicotine that is used is pure, and locally sourced. The factories where premium quality e-juices and other vaping products are produced are generally built by vaping companies. The manufacturing facilities and storage areas are created with environments that have full ventilation, climate & humidity control, and sealed from outside air. Vaping products are created and produced only by trained technicians. This is to ensure lab created e-juices become high quality products with richness and flavor. For the vape smoker there are an extremely varied amount of flavors, and products of e-juices to experience. For the best flavors for vaping always use only high quality lab created e-juices. For guidance concerning the array of flavors and products come into our Tyler E-cig shop. Our trained and experienced employees can assist you with choosing the right e-juices and other products for the premier vaping experience you desire.